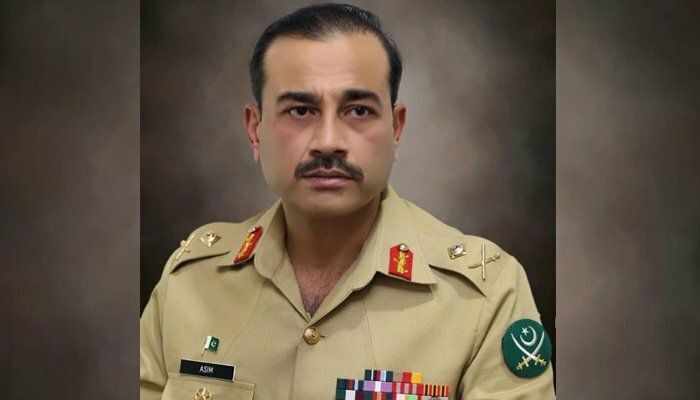 The army’s media wing on Wednesday announced that Lt Gen Asim Munir has been appointed the new director general (DG) of the Inter-Services Intelligence (ISI). Following reports that former DG ISI Lt Gen Naveed Mukhtar would be retiring on Oct 1, various sections of the media speculated that Lt Gen Munir was next in line for the post. The Pakistan Army had in September approved the promotion of Munir and five other major generals to the rank of Lt Gen.
Lt Gen Munir has formerly served as DG Military Intelligence. In addition to announcing Munir’s new charge as DG ISI, the Inter-Services Public Relations also announced that Lt Gen Azhar Saleh Abbasi will take over as chief of Logistics Staff at General Headquarters, Lt Gen Nadeem Zaki has been appointed commander Peshawar Corps, Lt Gen Abdul Aziz has been posted as the GHQ military secretary, Lt Gen Muhammad Adnan has been appointed vice chief of general staff, while Lt Gen Waseem Ashraf is set to take over as the IG Arms.